The Ohio Department of Agriculture recognizes the many social, economic and historic contributions made by Ohio's founding farm families. Ohio's Historic Family Farms program was developed as a way to honor these families for their enduring legacy to our state﻿. Something special though is taking place this year! Not one but two farms have reached bicentennial stature this year. How amazing is it that not only has a farm been in operation for that long, but also by the same family for over 200 years! The Haskins Farm located at 17199 Haskins Road in Bainbridge Township is owned by Curtis and Deborah Cook. It was originally over 160 acres and currently is still a working farm at nearly 70 acres. In 1818 the land was purchased by Phillip Haskins, Sr. and his wife Lovisa McFarland for $2.50 an acre. Phillip was originally from Massachusetts as his third great-grandfather arrived here from England in 1733. Phillip and Lovisa (married in 1811) left Massachusetts and followed the McFarland family to Ohio. The couple raised their children in the original farmhouse until the construction of the current home in 1843 for $300 and a barrel of whiskey. The farmhouse has been at the center of happiness as fifth and sixth generations of Haskins were raised here and proudly stands to this day. Years later their fourth son, Commodore Perry Haskins, and his wife Cynthia chose to remain on the farm and had five children. One was Clarence Perry, Curtis’ great-grandfather who married Flora Bonney in 1890. 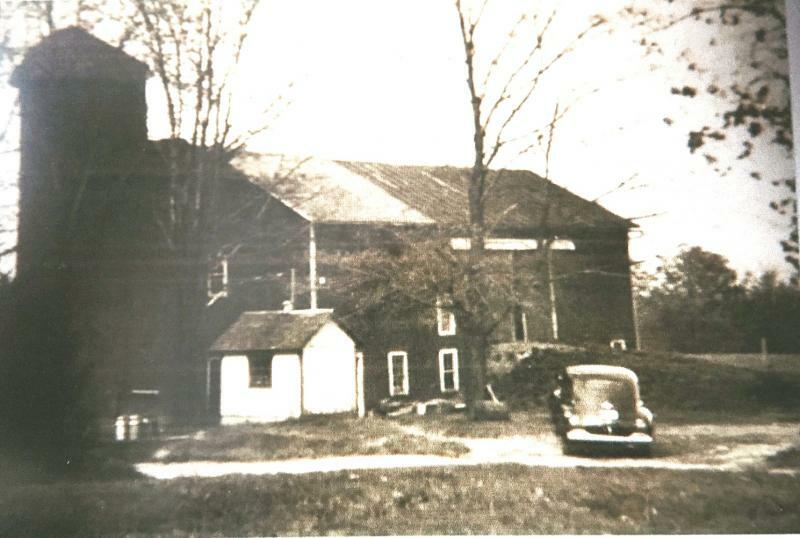 Over the years the farm was used for crops, dairy and maple sugaring. Flora was a hard worker and a strong woman who proudly was the first woman in Geauga County to vote. In 1897 Clarence was one of the founders of the Bainbridge Telephone Company and the first line he put in was to connect the sugar house to the family home. 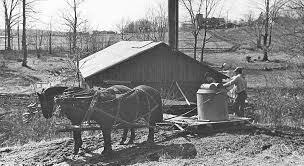 Clarence and Flora operated the farm until Clarence’s death in 1940 at which time their sons split the property. One son, Leslie, took the east portion for dairy cows and sheep. His other son Albert took the west and raised produce and livestock. Both brothers had a sugar house and sold maple syrup. Albert’s portion of the property was sold following his death in 1964 to a local developer. However, the original barn built in the 1800s and original farmhouse remained on the unsold property and is still there today with a few additions to meet the needs of the changing times. Curtis and his sisters Janice Cook-Swanson and Jennifer Cook-Forbush, both of Columbus, all have fond memories of the farm. It is a proud family with a long lineage residing at the Haskins Farm. Delicious maple syrup is still harvested from 40 acres of the farm woodland and has won “Best Maple Syrup Producer” at the Geauga County Maple Festival. As the farm celebrates 200 years, so does the family as they prepare for a 200 year family reunion in the upcoming months…amazing!